The Public Officials Benefit Association (POBA) has signed a final agreement to acquire a 10-story office building in the southern part of Hamburg, Germany, for 120 billion won ($101 million), and plans to make another three to four real estate investments in Europe over the next six months, a POBA source said on Dec. 19. The 20,245-square-meter building, FLEET II, is occupied by insurance group AXA and four other tenants. The property was built this year and is expected to deliver annual returns of an average 5.8% from dividend incomes. 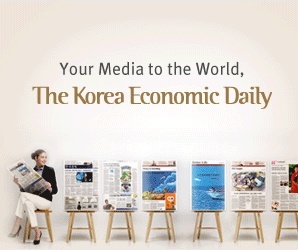 Of the total acquisition price, 66 billion won ($56 million) will be financed through the Europe real estate investment fund the POBA, South Korea’s government employees’ fund, set up in May. The separate account fund is managed by a consortium of IGIS Asset Management Co. Ltd. and CBRE Global Investors. The balance of 54 billion won ($45 million) will be borrowed from financial institutions in Germany. Payment will be completed by the first half of next year. The acquisition marked the first investment of the separate account fund in which POBA is the sole limited partner. The blind-pool fund targets core office buildings worth 100 billion to 120 billion won apiece with the investment period of five to seven years, according to a Yonhap Infomax report. FLEET II is not in downtown, but its location is easy to access and in high rental demand. South Korean institutional investors are increasingly looking to second-tier hub cities in Europe and the United States after real estate prices in core cities soared and following the Brexit vote. POBA, a $8 billion savings fund, has also shifted its focus towards rental incomes from betting on property price rises on the growing case of further interest rate hikes in developed economies. What makes Korean asset owners hesitate to invest in hedge funds?